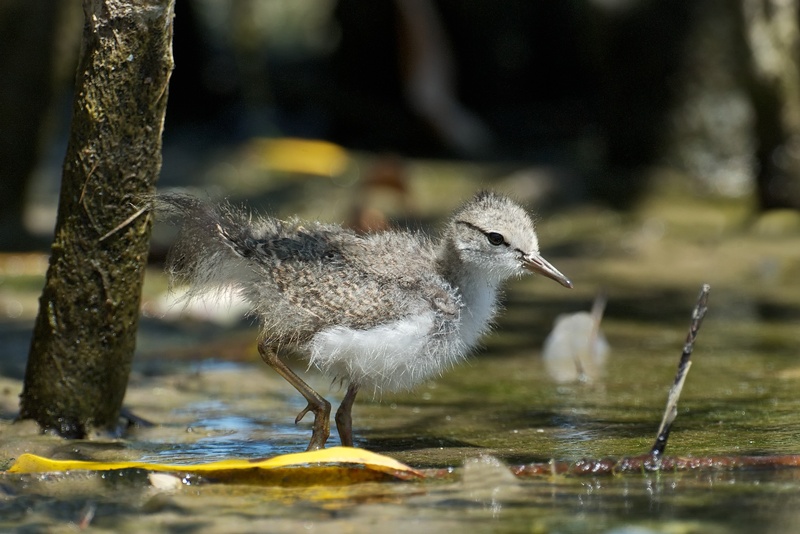 The Spotted Sandpiper is an unusual species where sometimes, females mate with multiple males in a single breeding season. The female will establish and defend territories and lay eggs for as many as four different males, who are then left to incubate the eggs and rear the chicks themselves. Though the species can also be monogamous, this chick could have step brothers and sisters in the immediate area from the same mother (but raised by separate fathers). Spotted Sandpiper is the most widespread breeding shorebird in North America and winter as far south as central Argentina.